Over recent decades, in the wake of globalization, movements of people and goods have tremendously increased requiring enhanced immigration and border management structures to more efficiently and effectively manage the cross-border flow of people and goods. As a consequence, States remain confronted with a common challenge: how to best facilitate the legitimate movement of people and goods while maintaining secure borders. Border agencies – notably customs, border police and immigration services - are the primarily responsible for the processing of people and goods at points of entry and exit, as well as for the detection and regulation of people and goods attempting to cross borders illegally. Efficient border and immigration management policies and structures, supported by professional, well-trained customs, border and immigration officers, facilitate and foster enhanced movement management at borders and prevent irregular migration, enabling the detection of smuggled migrants and trafficked persons, with the ultimate objective of dismantling organized crime networks and protecting the rights of these vulnerable persons. 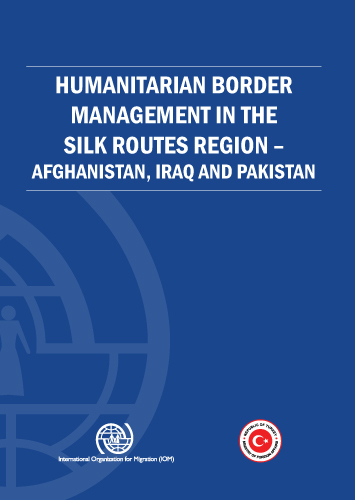 Comprehensive and well-functioning border management structures, encompass both security and facilitation of legitimate cross-border flows of people and goods. Therefore both aspects must complement and not contradict the other. Conscious of the implications of ineffective and inefficient border management structures, governments and donors continue to move towards investing more heavily in border management reform. In support of overall IOM objectives, IBM activities are directed at helping governments develop improved policy, legislation, administrative structures, operational systems and the human resource base necessary to respond more effectively to diverse migration and border challenges and to institute good migration governance. Such activities are designed as partnerships, with the requesting government and other relevant interlocutors working closely with the IBM Team to identify needs, determine priority areas, and shape and deliver interventions. Since realities on the ground and the goals of governments and other actors in migration management change over time in both nature and priority, the IBM Team's activities continuously evolve to meet new migration challenges on the national, regional and international levels. Enhancing legal migration by assisting States to more efficiently and cost-effectively process visas thru the provision of non-profit, international migration services, to include the operation of Visa Application Centres (VACs). The Immigration and Border Management (IBM) portfolio continues to expand and is comprised of approximately 200 global projects per year, involving several hundred predominantly field based staff. The international community must change its attitude on migration and outdated policies, the Director General of the International Organization for Migration told CNN’s Christiane Amanpour.